Bicycle riders and pedestrians rely on car drivers to look out for them and to respect their rights to ride in traffic, cross in intersections, and walk in safe locations. When a car strikes a bike rider or a bystander, the car is protected by the hood, rear, and roof of the car. The car’s occupants have air bags to cushion the blow. Bicyclists and pedestrians have no such protection. If they are struck by a car, there is a good change they will sustain life-altering injuries, or die as a result. 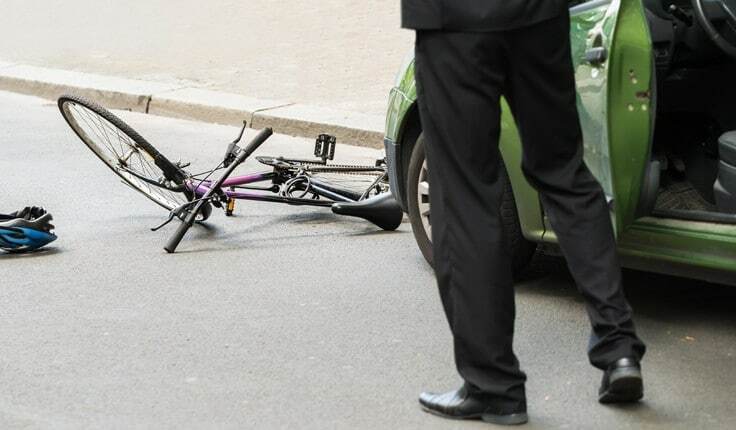 At Harris Lowry Manton LLP, our Atlanta bicycle injury attorneys understand how devastating these auto accidents can be. We represent families who have lost the love, guidance, support, and companionship of a loved one. Our lawyers have obtained some of the highest verdicts in Georgia’s history for injury victims, and we put our years of experience and substantial resources behind every case we take. NHTSA and IIHS also found that 45,000 bicycle riders were injured in 2015, and 71% of bicycle deaths occurred in urban settings. In Georgia, the numbers reflect these national averages. In 2016, 244 pedestrians were killed, and 25 cyclists died as a result of a traffic-related incident, according to the Georgia Department of Transportation. Injuries to cyclists, walkers, and runners in a car accident can include spinal cord damage, broken bones, traumatic brain injury, damage to muscles and ligaments, nerve damage, and other serious and permanent physical harm. The driver is intoxicated and does not have control of his/her vehicle. The driver fails to properly and fully stop at a stop sign, a crosswalk, or a red light. The driver fails to yield properly, especially at an intersection. The car drives on the shoulder of the road where bicycle riders and pedestrians are. The car operator makes an improper intersection turn. The driver fails to use caution at night. Drivers and the owners of the cars that cause the accident can be held liable if they fail to obey traffic rules and fail to exercise reasonable caution. Whether you or a loved one was bike riding or walking for pleasure, for exercise, or just as the least expensive way to get somewhere, an Atlanta or Savannah pedestrian and bicycle injury lawyer can help you get justice. At HLM, you can rest assured that we will help you get the best recovery the law allows. To learn more about how we can help, please call us at 404-998-8847 in Atlanta and 912-417-3774 in Savannah. You can also complete our contact form. Your first consultation is free.